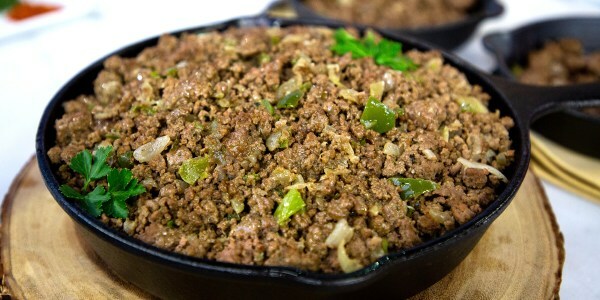 YouTube star Laura Vitale spices up bulk ground beef and turns it two incredibly easy-to-make weeknight meals. Buying ingredients in bulk can save you money and plenty of meal prep time in the kitchen. But purchasing large quantities of perishables is only helpful if you actually use them all up. YouTube star Laura Vitale is joining TODAY to share three of her favorite recipes to help make the most of every last bit of ground beef in that big-box store package. 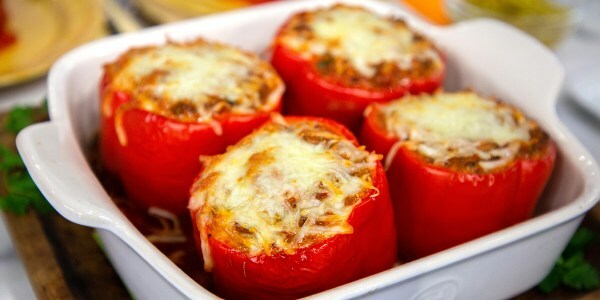 She shows us how to cook seasoned ground beef ahead of time and turn it into stuffed peppers with pizza toppings. 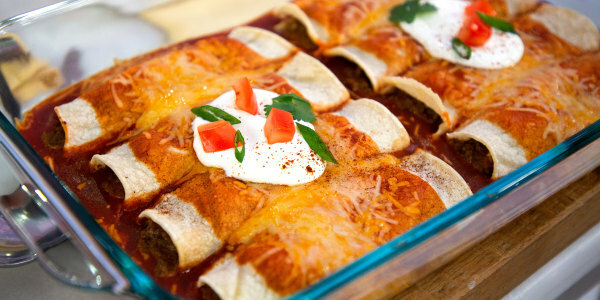 Then she bakes up the easiest enchiladas you've ever made. This is a great basic recipe that can be transformed in any way you like and requires only simple ingredients, many of which you might already have on hand. The flavor profile also works well in a variety of different cuisines. You can really stretch how many people you'll be able to feed with these beef-filled enchiladas by serving the dish with lots of toppings. It's kind of like a taco bar ... but for enchiladas. Everyone will love it! This recipe is a great one to make if you're craving pizza but don't want to splurge on the carb-heavy pie. It has all of the same wonderful Italian flavors, but it's also packed with beefy protein so it's very satisfying.